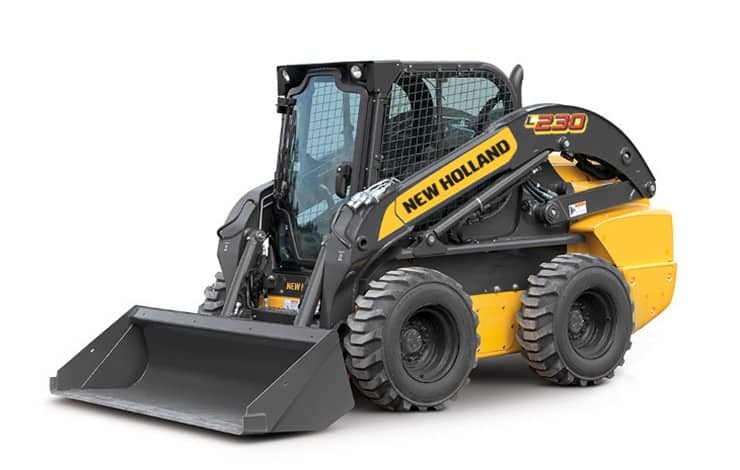 New Holland engineers used input from hundreds of customers to design our new line of skid steers. Designed from the ground up, these machines were built around you. No matter what your line of work - agriculture, landscaping or construction – you’ll work faster, smarter and more profitably with our new skid steers. New Holland’s patented vertical lift Super Boom® design has best-in-class forward dump height and reach. It’s more efficient to load materials to the center of the truck. With the longest wheelbase in the industry and a low center of gravity, New Holland skid steers are the most stable machines on the market. Confident operators get more work done. The widest, most comfortable cab in the industry gives you more head and foot room, and offers twice the visibility in critical zones. Better visibility allows efficient movement around the worksite. Comfortable operators get more work done. Just a few new convenience features include: keyless start, a Glide Ride option, available heated or air-ride seat and a self-levelling bucket feature.